Indeterminate means that the plant continues to grow after fruit set, and fruit is harvested over a long period of time. Tomatoes in all stages of development may be on the plant at the same time. Determinate means that the plant does not continue to grow once fruit has set. Harvest time is shorter as all the fruit develops at the same time. This is good for those who want to process fruit, and want it all ready at the same time. 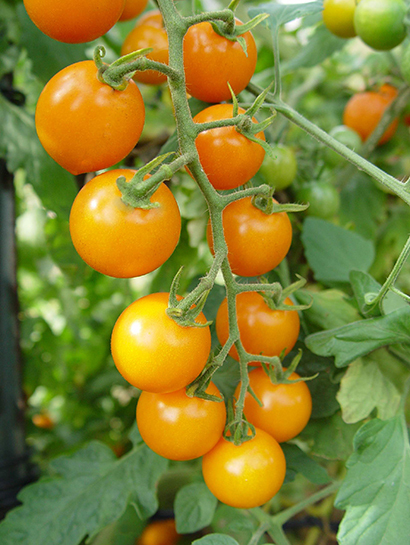 Botanically speaking, the Genus of Tomatoes is SOLANUM, formerly LYCOPERSICON. S.lycopersicum = Solanum lycopersicum. Most tomatoes fall into this group. S.lycopersicum L. = Solanum lycopersicum L. These are wild varieties. S.pimpinellifolium = Solanum pimpinellifolium. Currant tomatoes. 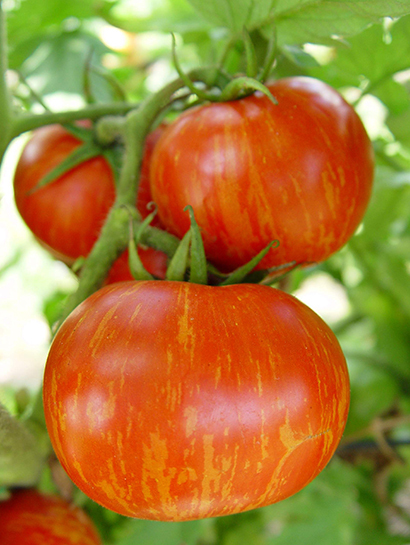 Disease resistance or tolerance is noted by the initials of V, F, FF, N, T and A.
Heirloom tomatoes have become increasingly popular, and are known for their delicious flavors. Heirloom tomatoes are open pollinated varieties that may have been passed down from one generation to another. Some say heirloom tomatoes must have been created prior to 1940, while others say that heirloom tomatoes must be at least 50 years old. While heirloom tomatoes usually do have a great flavor, there are some drawbacks. Productivity of heirloom tomatoes is often low compared to non-heirlooms and especially compared to hybrid tomatoes. Fruits of heirloom tomato plants tend to be less uniform in shape and size, and have a shorter shelf life. 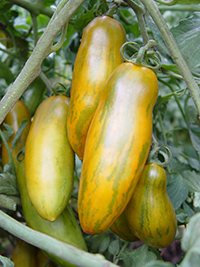 Heirloom tomato plants are often less disease resistant than newer non-heirloom varieties, especially hybrid varieties.